Good News Every one, I'm Rade. Storytelling is what I plan on doing with my life. Stories help shape the world by helping people feel inspired by the lessons within the stories. Now I am not certain, how does one place value on storytelling? I'm not sure if you can place any kind of price on my content so I will allow you, the individual, to decide how much I am worth. If you enjoy what I make, you are welcome to support me by making a pledge so I can keep on creating. DF in short was intended to become animated series but such production can not be done at this moment. I do not have the available time to create such extensive content mostly because lack of vital tools and resources. So I am starting slow and working my way towards my goals. So for now a humble web comic. So what in this story? The story is a twist on the good old-fashioned motif of Good versus Evil. This story is not for the faint of heart for it contains conflict, everything from gore, violence, action, suspense, adventure, horror and most of all, mystery. You will see characters overcoming perils, blood oaths of revenge, large-scale battles, politically influenced actions and feats of heroism. A new world with its own mythologies and characters of different ethnicities that come in many shapes and forms. This is a tale within a tale and the fates of certain characters will keep you guessing. Yes! Everyone will always be able to read free on my site. When I get a chance to figuring out how to go about making website... none the less I will find places to host the comic. 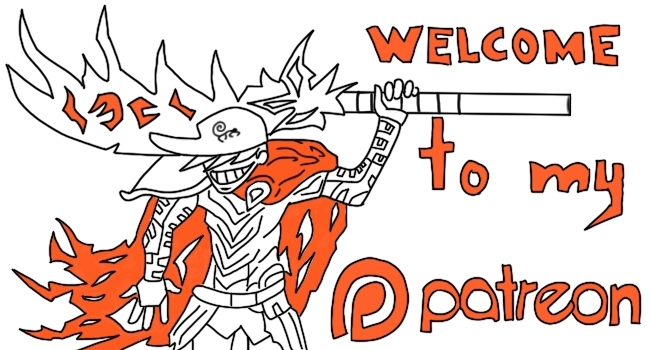 For now enjoy it here on patreon. Keep in mind production can be slow and takes time. Not only must I write interesting plots and plan out characters with dialogue, I also have to sketch out the entire story. All of that takes time, hours, perhaps days for maybe a few pages worth of content. I do work rather slowly, however, in the end, the content of DF being displayed digitally will be available for the general public to enjoy. WHAT YOUR PLEDGES GO TO: Many creators have different goals; some simple and some complex. My goal is not to try to make the biggest pile of money in the world. Nor do I want to drag on the story forever in some loop of misadventures. The long goal is to finish this story. Pure and simple. And the pledges ultimately help sustain me with the proper tools and assistants to keep me nourished until the story is finished. Your pledge helps fuel my creative flame and for that I am grateful, thank you. What are milestones? Over the course of time, the amount of funding received by those who pledge will be spent on various milestones. It is my belief that with the proper planning and certain consistency of funds, these long shots can be reached for everyone to enjoy. So if I do reach outrageous amount of funds, they will be utilized in every possible way; and the milestone goals are what would be those exact things to be gained. Now many creators can't be too distracted by serving out to many rewards. They'd rather be focused on creating great content because that is the reason they sought pledges from the start. I do not expect people to start rushing to their wallets and shout at me “take my money!”. Personally I do not see why anyone would want to start funding me while I am starting from the bottom. Good incentive should be given for every pledge I receive. I take all pledges with importance because these are the people who took the chance on my story. That is why I want to reward their faith by showing my appreciation for them with rewards that I am able to perform without hindering too much time away from creating. 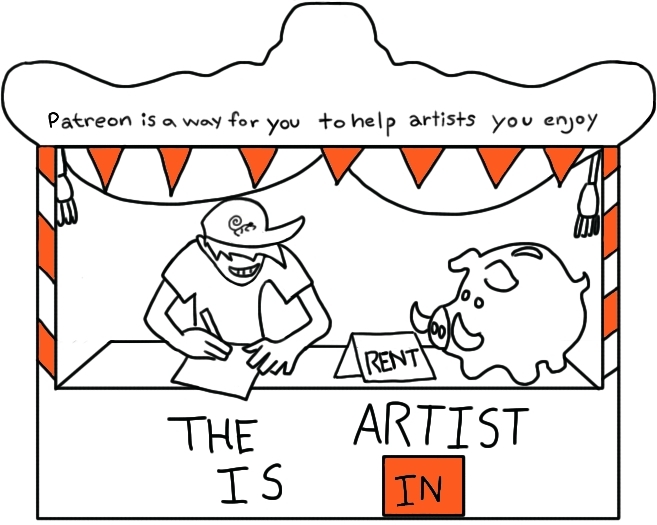 You’re a patron! $1 is a great way to show support for one month of comics. You make the paying of my bills easier, thank you! You will be notified whenever there’s a live stream event planned! 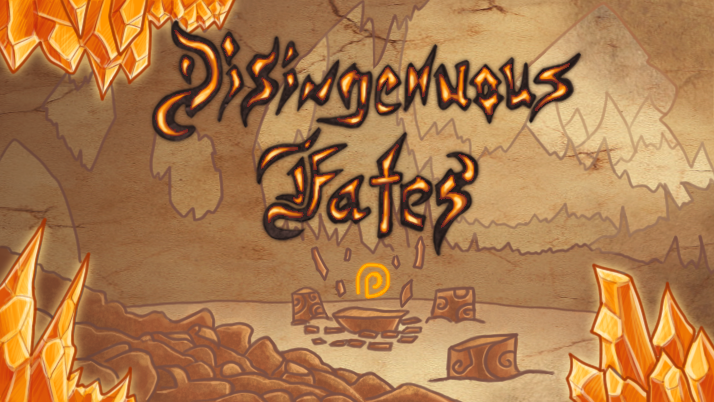 Help support my art and gain access to the various stretch goals as they're hit! Gain access to my patron-only feed, unique polls and unique voting moments in the comic that will help influence the story. Thanks You're wonderful! If you ever wonder about my creative process I will upload my rough's. So you can see the before and after. You'll get access to exclusive posts about my work! Sneak Peaks,behind scenes content,concept art, sketches, plenty of doodles. Cheers and thanks for all the support from my $5 patrons. Why wait when you can get the next page earlier! It will be posted on Patreon a week in advance (or a few days, depending on when it's done). I will stream live drawing sessions were you can chat and message me while I draw monsters and critters and NEW COMIC PAGE. I will pick random viewer from this group to be on call with me and give direction on what I should be making. Access to a monthly Q&A video. 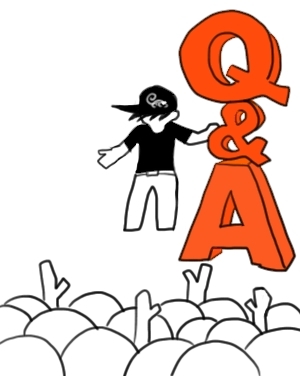 I'll keep a list of questions from my $10 patrons, moderator or myself will pick ones for me to answer. An illustration with characters from the comic, and all patrons get to vote on the theme and characters featured in it. I will also make it a wallpaper, if possible.